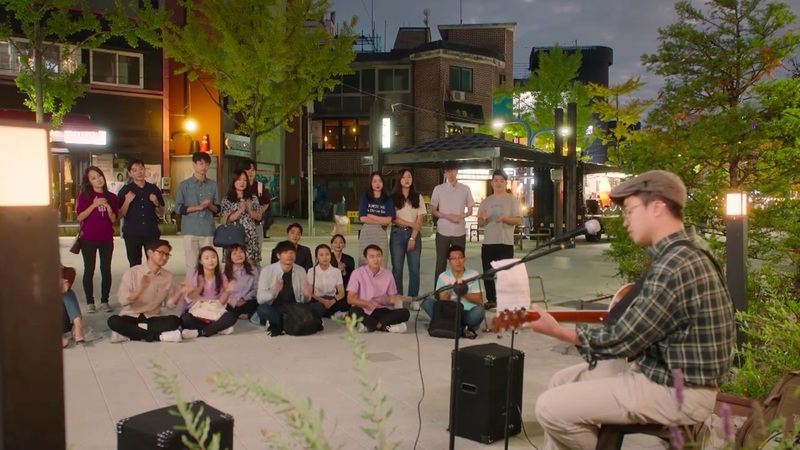 Park Si-won (Lee Seo-yeon) comes here to watch a street busking dance performance in episode 6 (full episode 3) of Spring Turns To Spring/Spring Is Coming (봄이 오나 봄) (MBC, 2019). 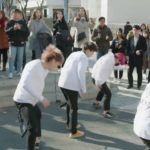 Je Im-soo (Yoo Jung-woo) stands next to her, trying to imitate their moves. 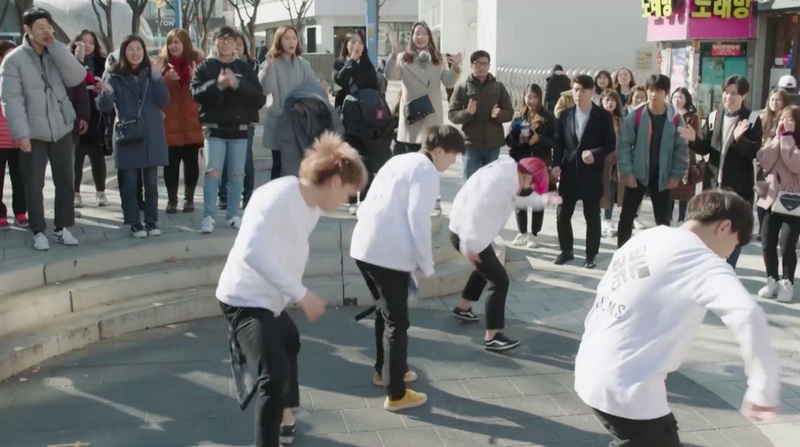 He drops a prop broom when he takes a video, and suddenly dashes off without it. Si-won picks it up and goes after him. 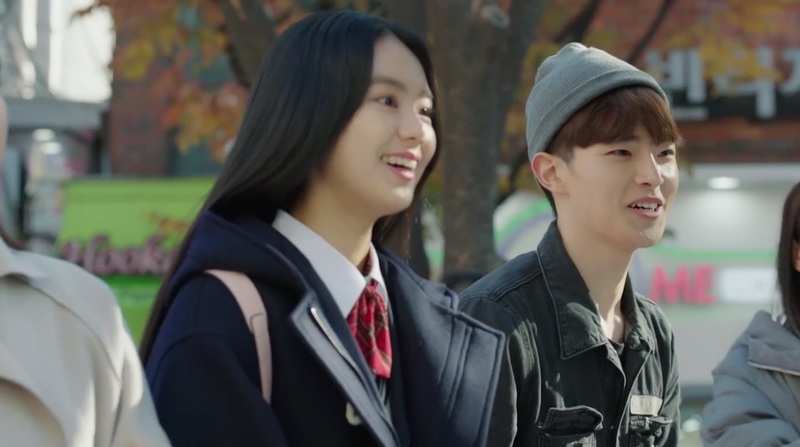 Kim Si-eun (Park Se-wan) comes here with her then-boyfriend Lee Tae-sun (Yeon Jae-hyeong) when visiting him in episode 1 of Just Dance (땐뽀걸즈) (KBS2, 2018-19). 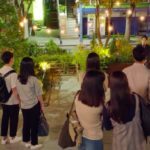 After running into each other at a wedding venue, Lee Young-jae (E-som) and Choi Ho-chul (Min Woo-hyuk) take a walk here in episode 7 of The Third Charm / The 3rd Charm (제3의 매력) (JTBC, 2018). 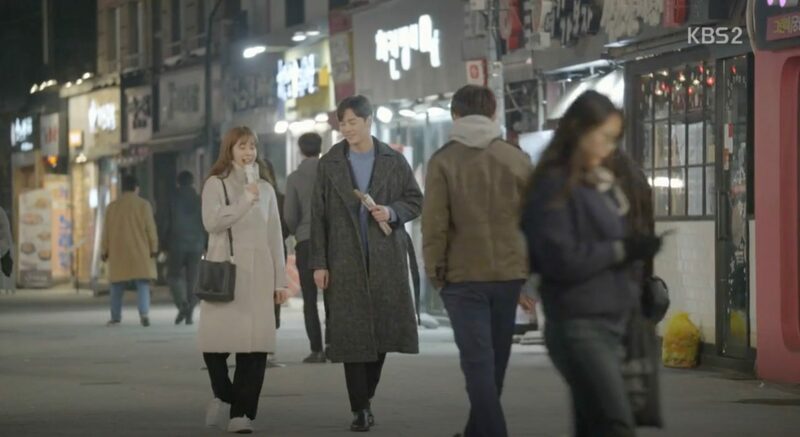 They talk about his past marriage briefly, and buy ice-cream from a food truck. 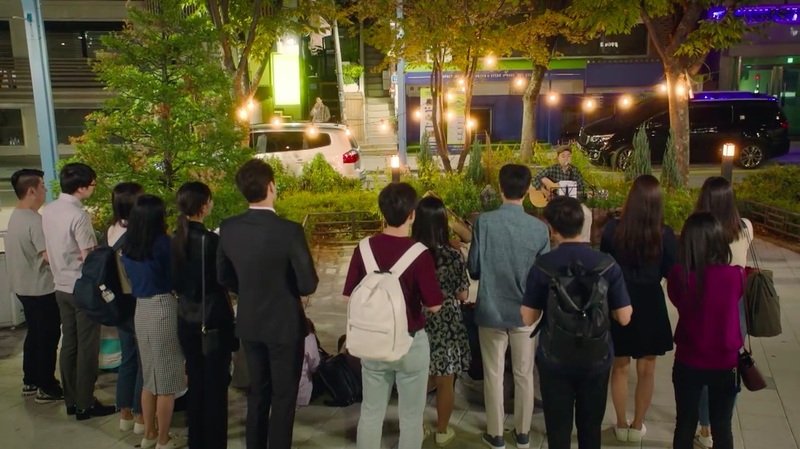 Later, they stop to listen to a busker singing ‘Come What May’ from the Moulin Rouge soundtrack, and Ho-chul tells her that he was supposed to sing that song for his then wife-to-be at their wedding, but was embarrassed to in the end. 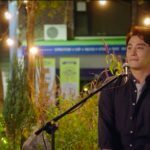 In episode 7, Ho-chul calls Young-jae to the same spot that they watched the busker, and sings ‘Come What May’, saying after that he had practiced it just for her. 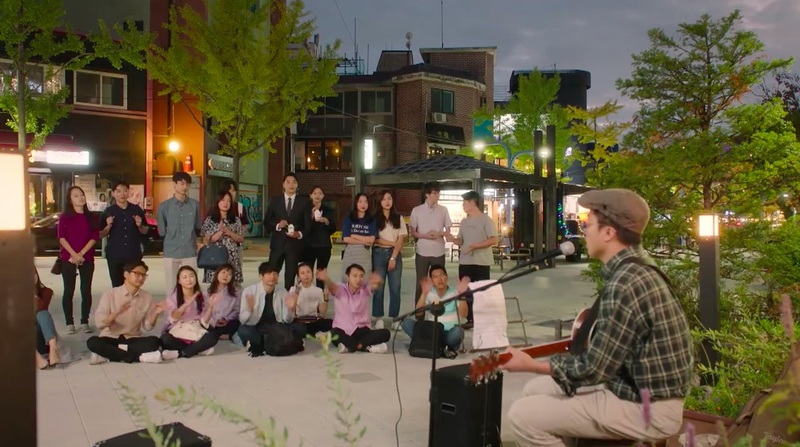 Park Ga-ram’s (Yeon Jun-suk) band ‘Real Garam’ plays here in final episode 32 of Your House Helper (당신의 하우스헬퍼) (KBS2, 2018) and Han So-mi (Seo Eun-ah), president of the band’s fan club comes to cheer him on. 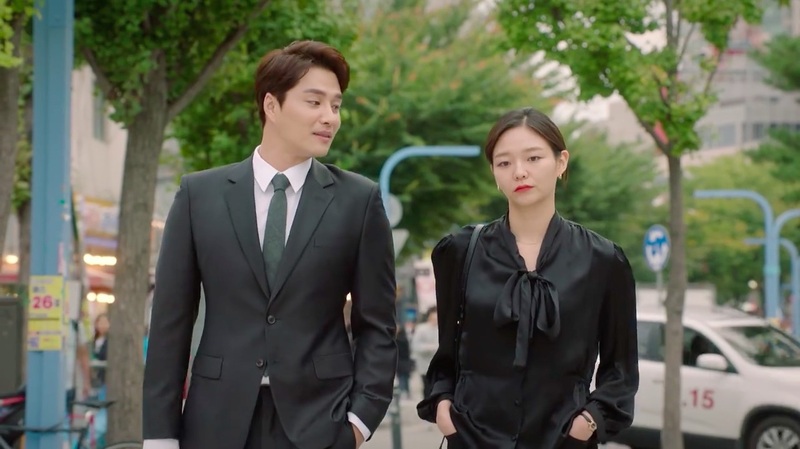 Kim Mi-so (Park Min-young) meets her blind date, Park Byeong-heon (Park Byeong-eun) on this street in episode 3 of Why Secretary Kim/What’s Wrong With Secretary Kim (김비서가 왜 그럴까) (tvN, 2018). 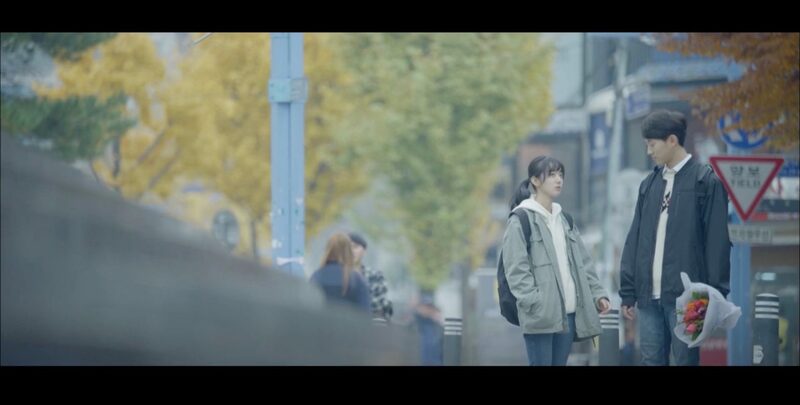 The area is likely to be in the vicinity of where the Because This Is My First Life scene took place. 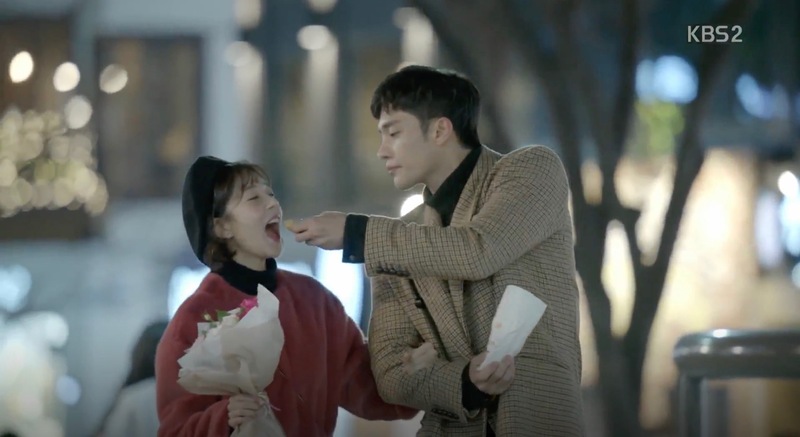 Sun Woo-hyuk (Lee Tae-hwan) and Seo Ji-soo (Seo Eun-su) come here on their first date in episode 39 of My Golden Life (황금빛 내 인생) (KBS2, 2017-18). 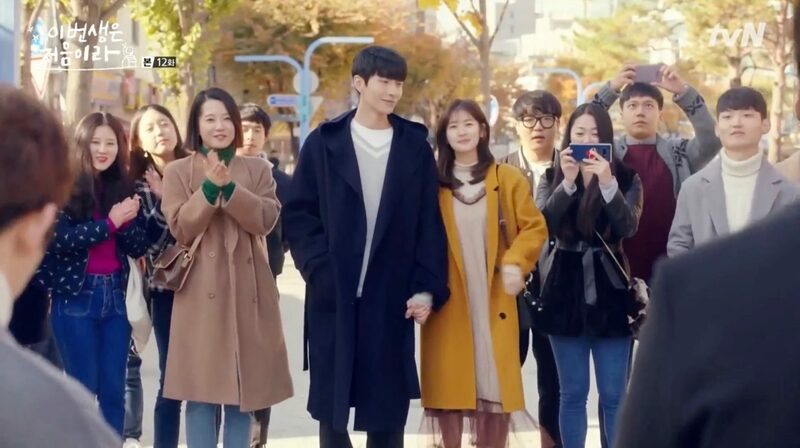 It was also briefly seen that Jwa Yun-i (Baek Jin-hee) had a date here with her ex-boyfriend (Sung Joon) in episode 1 of Jugglers (저글러스) (KBS2, 2017-2018). 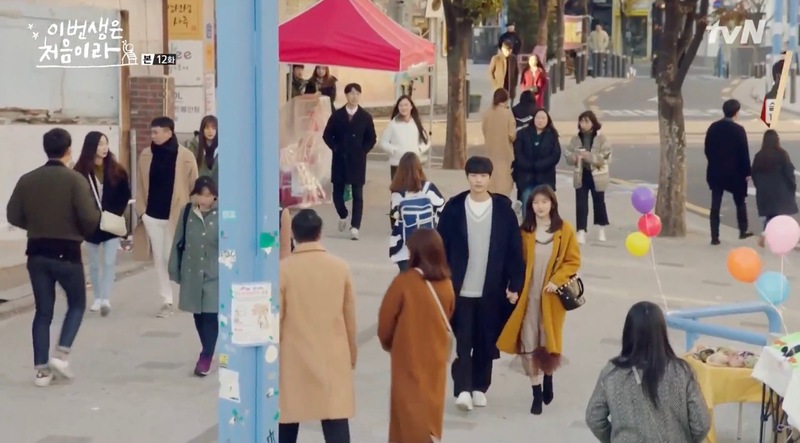 Yoon Ji-ho (Jung So-min) and Nam Se-hee (Lee Min-ki) walk down this street on their date in episode 12 of Because This Is My First Life/This Life Is Our First (이번 생은 처음이라) (tvN, 2017). 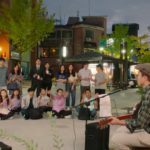 The area that the music performance by MeloMance took place was between this street and the beginning of Wausan-ro 35 gil (와우산로 35길). 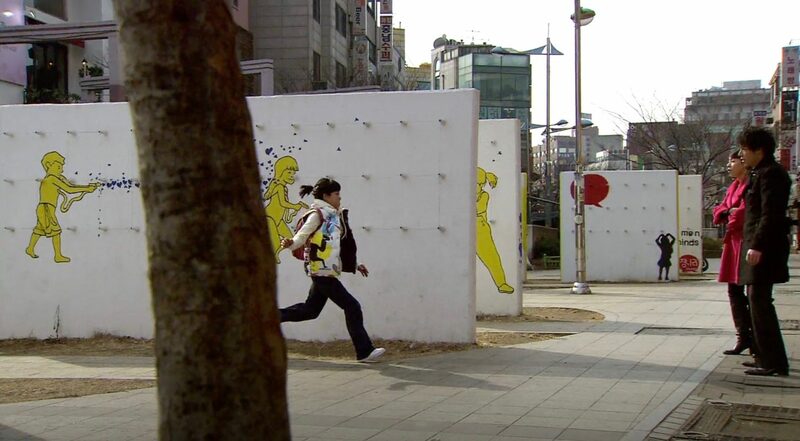 Chu Ga-eul (Kim So-eun) and Geum Jan-di (Ku Hye-sun) see by coincidence Ga-eul’s boyfriend at this street in episode 9 of Boys Over Flowers/Boys Before Flowers (꽃보다 남자) (KBS2, 2009). 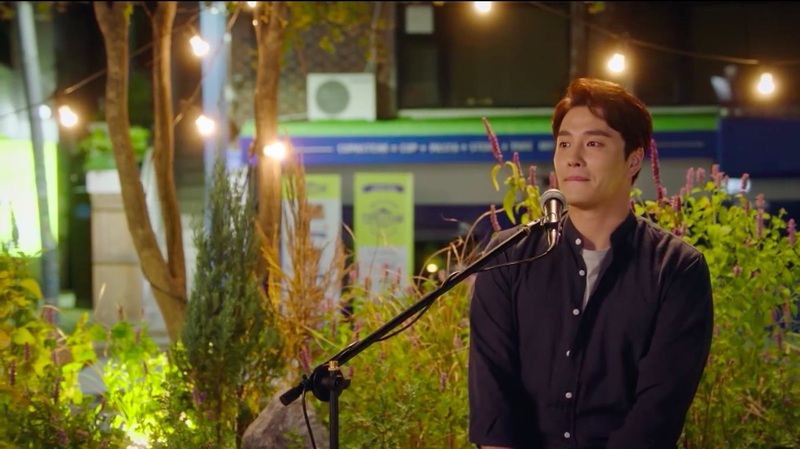 Both overhear how he explains a girl-friend how he used Ga-eul feelings. 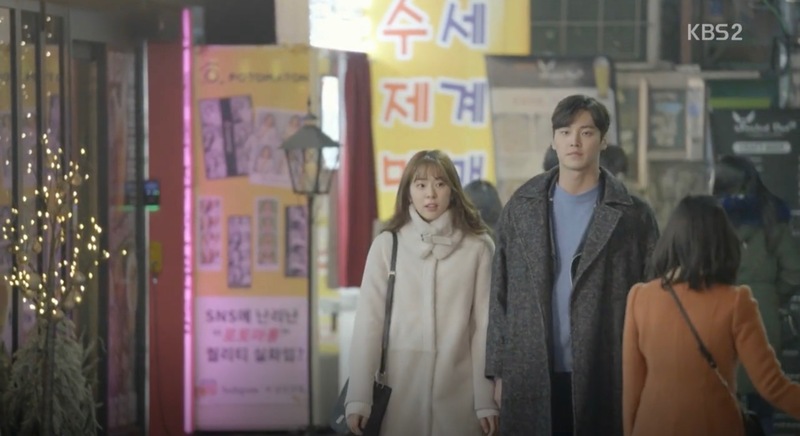 This is also when Jan-di beats him down to take revenge for her best friend. 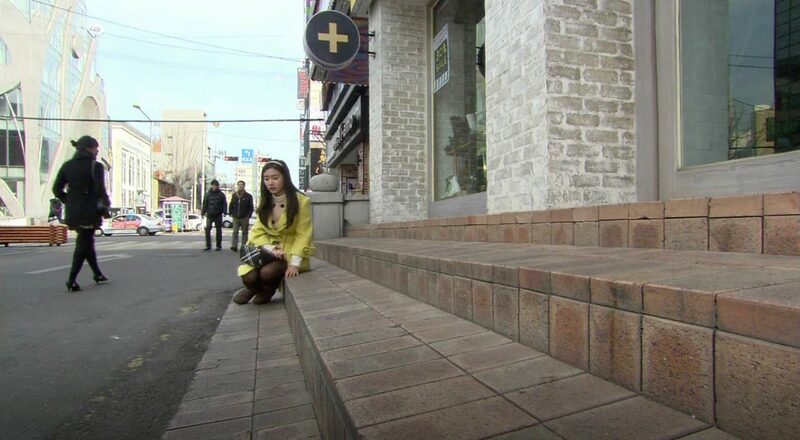 Later in the episode, heartbroken and crying Ga-eul sits down in front of the Dr. Martens shop in this street. 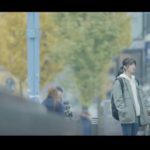 So Lee-jeong (Kim Beom) sees her out of the car window and asks his driver to stop and joins her trying to lift her spirits. 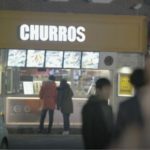 Eoulmadang Street [어울마당로] is a popular walking street in Seoul’s neighbourhood Seogyo-dong [서교동], that makes up parts of Hongdae [홍대] in the Mapo District [Mapo-gu/마포구]. 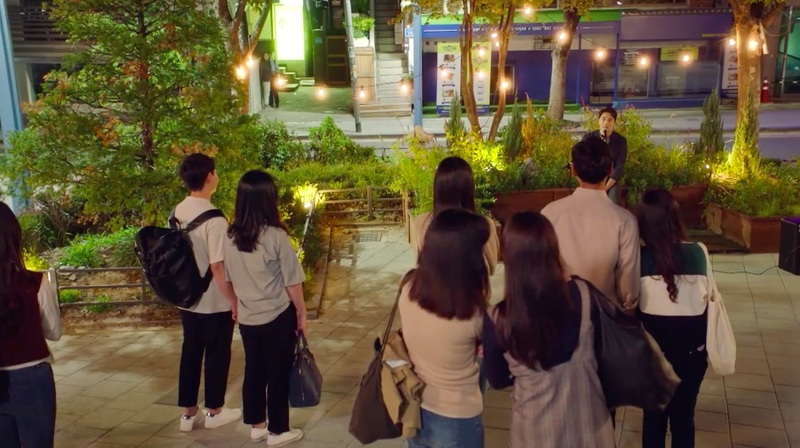 The scene in Jugglers was filmed near Myth Jokbal [미쓰족발 홍대본점]. 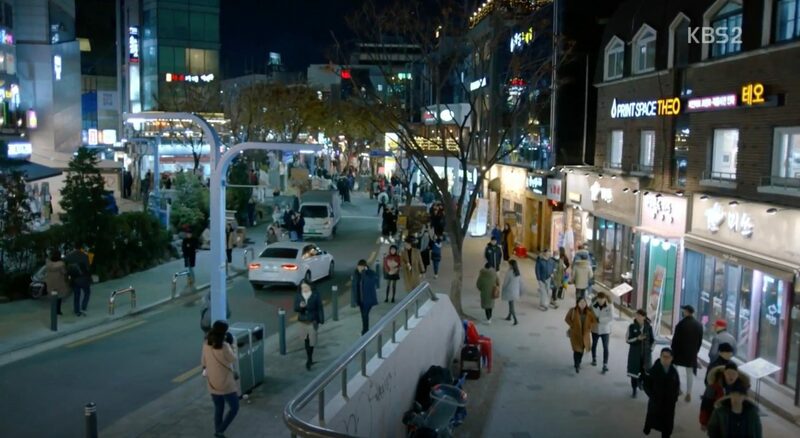 The Mapo Tourist Information [마포관광정보센터] and the restaurant Hongdae Jopok Tteokbokki [홍대조폭떡볶이] are also located on this street. 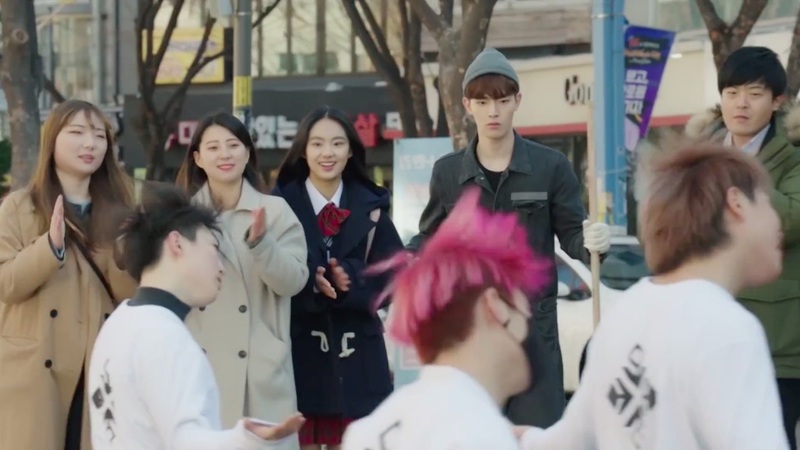 — BTIMFL — Wausan-ro 35 gil: Look out for no 75: Butanchu (豚人/부탄츄) and no 71: Geumya Izakaya (今夜/금야).The pink sign in the background of Se-hee’s head is ‘홍대큰언니집’ (Hongdae Big Sister’s House – no.72). 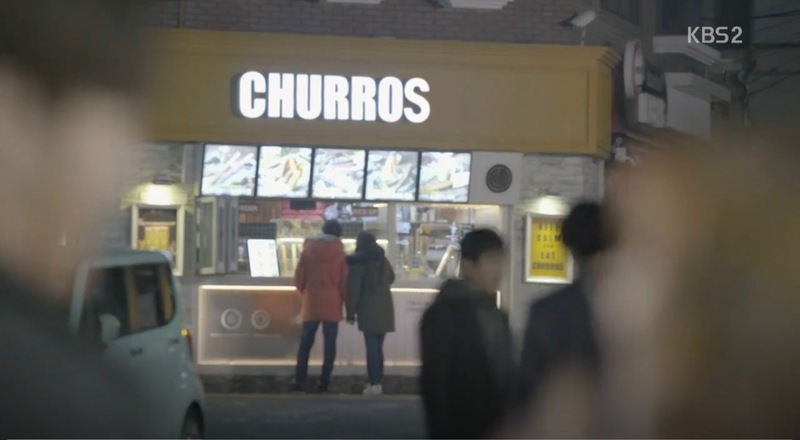 — My Golden Life: 37.556154, 126.924731 (start) and they get their sweets at the Hongdae Branch of Churro 101 [츄로101 홍대본점] (appearing as ‘Churros’ in the drama) a little further down the street at no. 128. 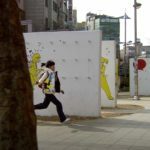 Hongik University Station [홍대입구역], Line 2, exit 9. This street is a short walk from the station. Instead of turning right towards the usual walking street, turn left. 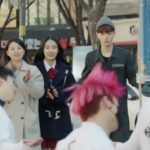 Myth Jokbal will be on your left. 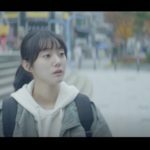 Head further down towards Girin Building (기린빌딩 – no. 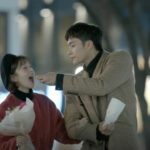 130) and you’ll have the approximate location of the BTIMFL location 1. 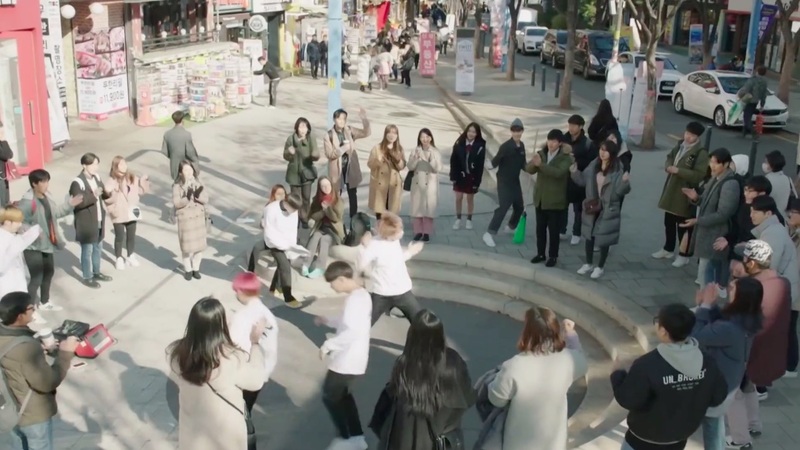 The MeloMance performance area in BTIMFL is towards the end of the street; look out for the following shops: no. 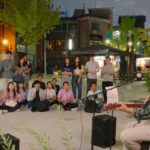 72: 홍대큰언니집 (Hongdae Big Sister’s House), no 75: Butanchu (豚人/부탄츄), no 71: Geumya Izakaya (今夜/금야). Note that the shops are not numbered in order.